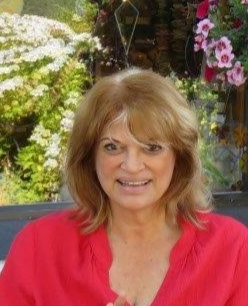 Marianthi holds, since the 1970’s, a Masters in Postural Integration Therapy from the Postural Integration Institute in San Francisco California, founded by Jack Painter who combined Rolfing and Bioenergetics in his teachings of the human structure. Marianthi is known around the globe (she has worked in 11 countries), for her expertise in prompt relief of body aches and disturbances through her integrated approach of myofascial release massage,Â deep bodywork, Ayurveda, yoga, and the detection of socio-cultural and biographic constrictions on a person. The main focus for her students and clients, is to provide them with treatment and methods for the return of vitality highjacked by “pockets” of physical, emotional and mental “stiffness”. Her studies include Yoga under the tutelage of Swami Muktananda, Dr. N. Sasikumar and T. Nandakumar, Ayurveda through the Ayurvedic institute in New Mexico and Savita Patel in London, as well as Sufism, under the tutelage of Adnan Sarhan. In parallel to her alternative health practices, Marianthi (also known by her nickname of Mars and her spiritual name of Sarayu) is a consultant in Regional and Urban Planning. For her, any human settlement is as organic as a body whose functions must ideally originate and flow from sources of optimum supply, arriving beautifully where and when required by the settlement, so it can flourish and render great service.